Everyone watched the finale of “The Voice Kids” a few days ago. And while most people rooted for Lyca, me and my wife were all the way supporters of Darren. 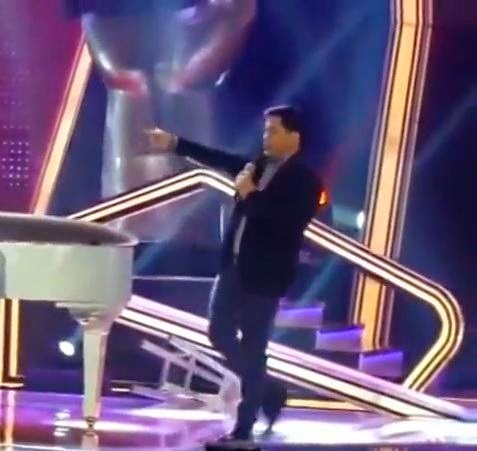 Anyway, I’m sure you’ve seen his performance together with the Concert King Sir Martin Nievera. They were both amazing whilst belting out “You are my song.” But do you know what happened after the performance when Martin left the center stage? Judging from what I saw, Martin tripped because he didn’t see that the stage was elevated. I wish nothing serious happened to him. Previous Previous post: Manny Pacquiao Doing A True Move Ad?